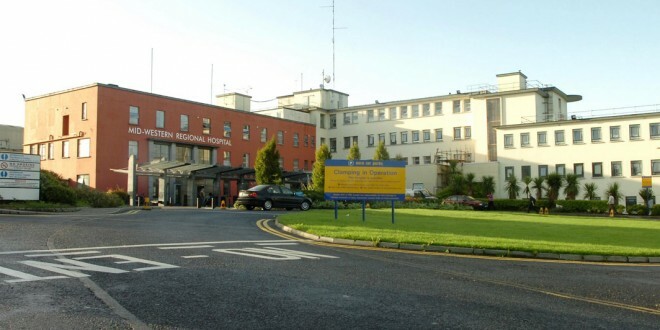 Extra measures are being sought by a nursing union to tackle overcrowding at University Hospital Limerick (UHL) after the emergency department (ED) recorded the highest number of patients on trolleys earlier this week. According to the INMO Trolley Watch, there were 55 patients on trolleys in wards and the ED in UHL on Tuesday, compared to 46 in Beaumont Hospital. The UHL figure had increased dramatically from 34 on Monday before it reduced to 39 again on Wednesday. INMO industrial relations officer, Liz Curran, urged the HSE to eliminate any red tape that could delay the hiring of an extra 70 nurses for the UHL Hospital Group, so that new nurses can start working as soon as possible. Ms Curran called for an increase in the number of community intervention teams in the region, as she said this would assist with the earlier discharge of patients and would also help reduce the number of patients who require hospitalisation. Nurses in UHL, Ennis and Nenagh Hospital recently suspended plans to commence a work-to-rule in protest over overcrowding, following a Labour Relations Commission hearing involving the INMO, SIPTU and the HSE. A UHL hospital spokeswoman confirmed the ED at UHL has seen an unexpected increase in patients presenting earlier this week, which has resulted in high numbers of patients on trolleys and long delays. Amongst the factors contributing to the increase in pressure within the ED is the older age profile of patients presenting, along with the complexity of issues they require treatment for. The hospital also has a small number of cases of the Norovirus winter vomiting bug. Restrictions on visiting due to these cases have been implemented also. UL Hospitals Group has enacted its escalation plan to deal with the increase and action has been taken by the group to help reduce numbers and wait times for patients. Patients are being transferred from UHL to Ennis, Nenagh and St John’s Hospitals. “Where possible and with the support of our colleagues in the community, patients who have finished their care are being transferred to community care,” a HSE spokesperson said. Non-urgent elective surgery scheduled for Tuesday was cancelled and all othernon-urgent surgery scheduled to take place this week across the group is being reviewed. “Staff across the group are working very hard to ensure the optimum care and safety of all its patients during this exceptionally busy period. Patients are reminded to keep the ED for emergencies only and to contact their GP or GP out of hours services in the first instance,” the spokesperson continued. Local Injury Units are open in Ennis and Nenagh Hospitals from 8am to 8pm, Monday to Sunday, and 8am to 6pm, Monday to Friday, at St John’s Hospital. Patients aged five years and over, with minor injuries, are encouraged to visit their Local Injury Units for treatment.